While most investors will not ask you to fill out a 17-page document as they do on Shark Tank, many of the questions are germane. Here are just a few related to the business itself (Shark Tank has many other questions and legal issues that would not be part of a normal investor buy-in). Describe in detail what your business or product is. Investment amount: what are you seeking, and what percentage of equity are you willing to give in exchange? Funds: what do you intend to do with the investment funds? How much money have you invested in the company and in what time-frame? Where and what was that money used for? When did you start the business and how long have you been operating as a business? Sales: what are your business’s total lifetime sales since starting? What was the gross and net income from your business last year? Projections: what are your sales projections for this and next calendar year? How did you come up with those projections? Have you ever tried to raise money from outside sources? (Yes / No) if yes, provide details. What attempts have you made to build your business? Why do you want to pitch your business? Why should we look at your business; what is your “hook,” and why is your business notable? Can you answer these questions? Do you have the ability to corroborate those answers with research and especially relevant actual data from your accounting system? 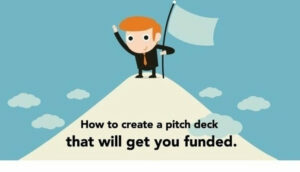 Have you created a pitch deck answers that these questions? Are you constant returning to proving that your value proposition is solid and profitable? Does your company have a back office that will satisfy the investor, assuring them that the business is well run? Is your staff up to the challenge of the next step in the evolution of the company? Do you have a business plan, a marketing plan, a budget, and forecast? Are the financial projections defensible or just numbers? SBA * Consulting LTD in its strategic partnership with Management Interactive LLC can assist you in getting those answers, building those systems and making your company marketable. We can work with you to find an investor and working your other trusted advisors, seal the deal. A footnote: Wayne Spivak, President of SBA * Consulting LTD was quoted in Bloomberg BNA April 4th in the article “Companies Confused About Upfront Fees for Cloud Services Rule”. and in the article “Filing IPOs Shouldn’t Underestimate Accounting Challenged” on April 24th. Why not sign-up for our Blog noticies?